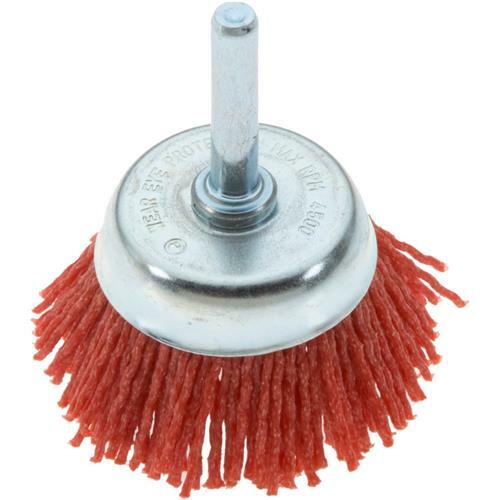 This 2" crimped, nylon abrasive cup brush is imbedded with abrasive, making them a great choice for removing rust, corrosion, paint, and weld scale, and will flex easily to where you need it most. Course grit, 1/4" shank. Bought this with the other two sizes, 1" and 3" brushes. All were made well. Plan to use these to scuff up my truck bed prior to spraying a coating of monstaliner.